It has been a busy day in the shop; sawdust is everywhere but mostly on me! 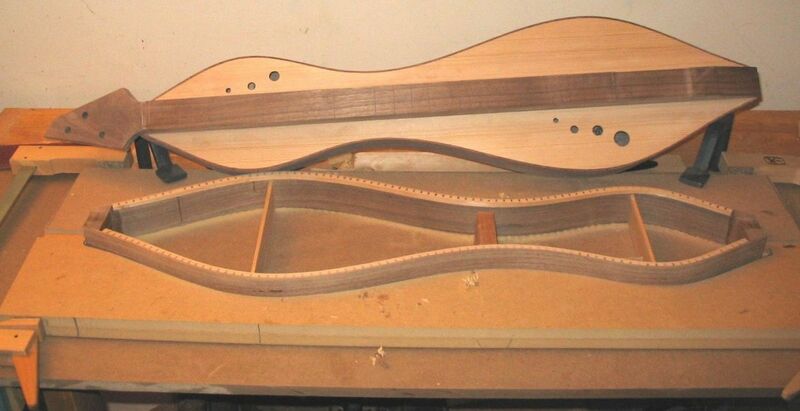 After several experimental prototypes I have begun making the dulcimers that will soon be available for sale. I brought one of the prototypes into the studio and it recorded beautifully! Each dulcimer will be somewhat unique but for the time being I will be making them in the pattern I have been developing. My dulcimers are light, resonant and responsive. A number of options will be available, the number of strings, two options of scale length, additional frets, etc. I will post details soon. I enjoy making dulcimers as much as I enjoy playing them. I hope to make the dulcimer that brings you joy too.